Dr Oz, who was having a discussion with actress Rose Byrn and Oprah Winfrey about Henrietta Lacks and her contribution to medical science, then welcomed Rebecca Skloot. 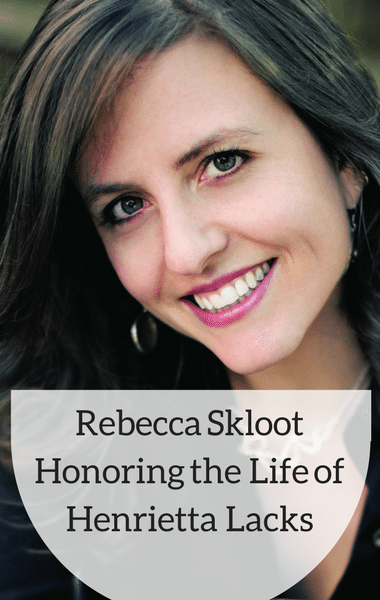 Skloot is the author of “The Immortal Life of Henrietta Lacks” the book that was recently made into a movie on HBO. Rebecca remembered getting a phone call from Oprah at 5:00 in the morning after she had just finished the book. Rebecca was blown away at getting to hear the immediate emotion in Oprah’s voice after she had just gotten to the end of the story. So much of the phone call was about what Deborah’s life meant to Oprah so Rebecca loved hearing the emotion in Oprah’s voice.